As a mother and son team, we are a Family working with Families. Our team offers a breadth of talent and a wide range of skills when it comes to guiding Families’ private wealth management solutions. We focus on the 3 P’s: Process, Philosophy and Planning. We have created and refined our unique process over the more than 3 decades we have been in the industry. We use a planning based investment solutions platform that guides our families in achieving their goals. Whether you are seeking Portfolio Management, Estate and Retirement Planning strategies, Business Planning, or you require access to Institutional Investment solutions, we offer the guidance you seek. 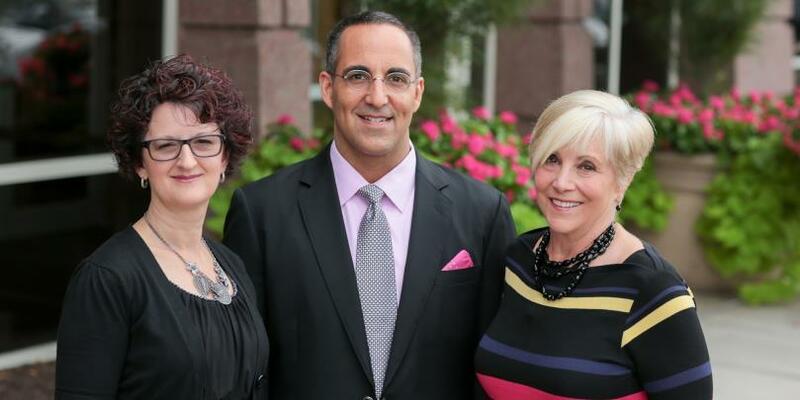 With over fifty combined years of experience in the financial services industry, The Grossman Wealth Advisor Group offers you a depth and breadth of talent. We pride ourselves on the comprehensive services we offer, backed by the global resources of Morgan Stanley. We believe that our clients deserve our devoted attention. To us, our clients are more than just a number. We believe in giving back to the community. Here are a few of the things that we are passionate about. Jill has worked in the financial services industry since 1981 joining Morgan Stanley in 2012 where she is the senior partner of the Grossman Wealth Advisor Group. She earned a Wealth Advisor designation at a former firm signifying in depth understanding of strategies and planning for high net worth clients. 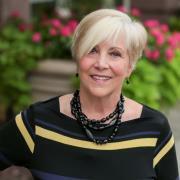 Her focus has always been on a comprehensive approach to financial management for successful families. Using research and resources of Morgan Stanley and her decades of experience, she is able to address a range of client issues such as assisting with taxation, wealth transfer and charitable giving. Jill was born and grew up in Bloomington and attended Indiana University. She moved to Carmel in 1985 and resides there today with her husband, Allan Karlander. Their blended family is a great source of joy to them. Jill is active in efforts to empower women to overcome challenges and gain skills to provide for themselves and their families. She is the past President of the Board of Directors of Dress for Success, a Corporate Partner of the National Association of Women Business Owners, a member and past treasurer of the Indianapolis Alum Club of Pi Beta Phi, a member of the Board for Conner Prairie and supports the Women’s Fund of Central Indiana and the IU Foundation. In her leisure time she enjoys reading for professional development and pleasure, travel, sporting events and entertaining. Toby began his financial services career in 1996 at a boutique firm founded by two retired Morgan Stanley investment bankers in Dallas, TX. He purchased his own broker-dealer in 1998 to pursue asset management and investment banking. From 2002 to 2008 he pursued other business interests and then he re-entered the private wealth management arena as a partner with his financial advisor, and mother, Jill Grossman to form the Grossman Wealth Advisor Group at UBS. 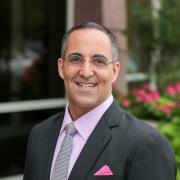 Toby focuses on working with high and ultra-high net worth families and entrepreneurs. His primary focus is on the preservation, expansion and efficient tax management of their wealth. He is a fourth-generation graduate of Indiana University where he is also a life member of the Alumni Association, the Arbutus Society and the 1820’s Society. Toby is a current trustee of The Sycamore School and past trustee of The Cancer Support Community and Children’s Bureau. He is sponsor and mentor to the Little 500 cycling team Black Key Bulls at Indiana University. His greatest enjoyment comes from spending time with his wife Jennifer and their two children, TJ and Penelope. Cristina has been in the financial services industry since 2000, rejoining Morgan Stanley Wealth Management as a Senior Registered Associate in February 2017. 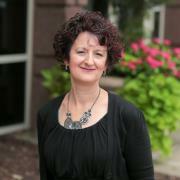 Her past experience includes over seven years with Morgan Stanley Smith Barney in Terre Haute. She is Series 7, 9, 10 and 66 licensed. Her focus is on providing excellent, personalized service for the teams clients and comprehensive support for the team behind the scenes. Cristina has lived the majority of her life in Indiana and recently relocated from Terre Haute to the northeast side of Indianapolis where she enjoys bicycling and walking the trails in the area. She has three grown children and two precious granddaughters she loves spending time with whenever possible. She also enjoys reading, volunteering time at Gleaners Food Bank and supports Dress for Success Indianapolis.